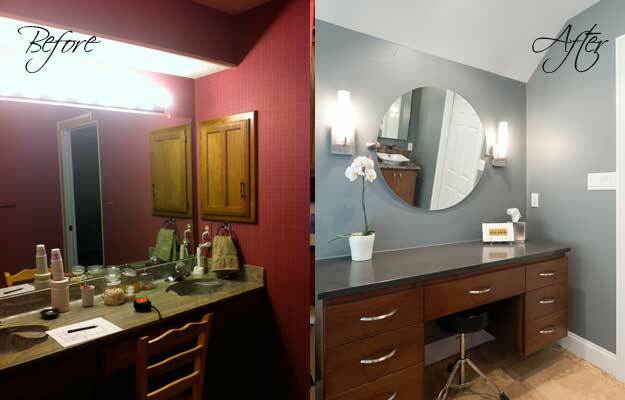 Our old bathroom was too small, outdated, and non-functioning…We found Sylvie and she made our dreams come true. 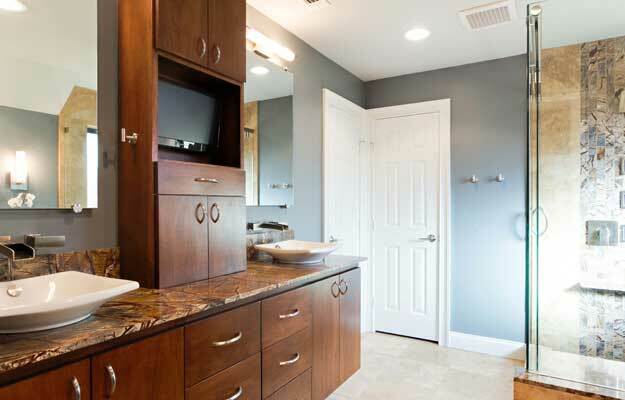 The new bathroom is modern, functional, and beautiful….Sylvie’s crew was top notch and what we like the best is that if there was a problem, it wasn’t our problem – it was Sylvie’s problem and she took care of it right away. 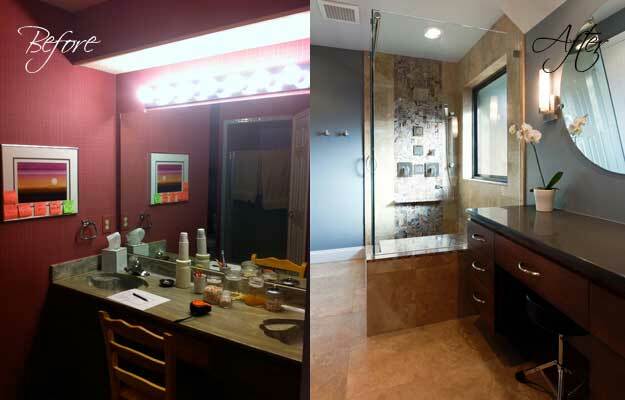 This client wanted to do a bathroom remodel to give their master bathroom a more updated look and to make it more suited to their lifestyle. 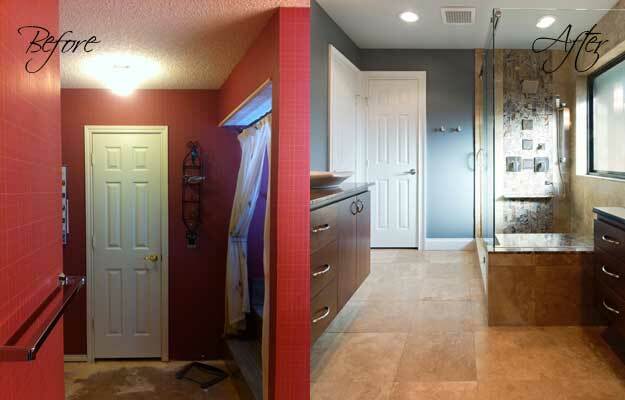 They rarely used their tub and said they would prefer to have a much larger shower instead. 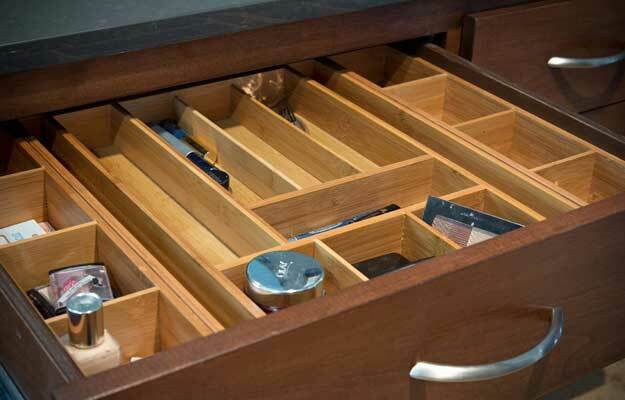 The lady of the house also wanted to have a comfortable area for putting on make-up. 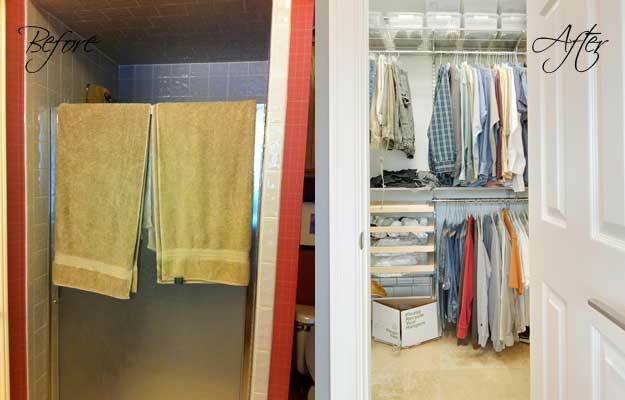 There were two closets, but neither of them was large enough to be functional. 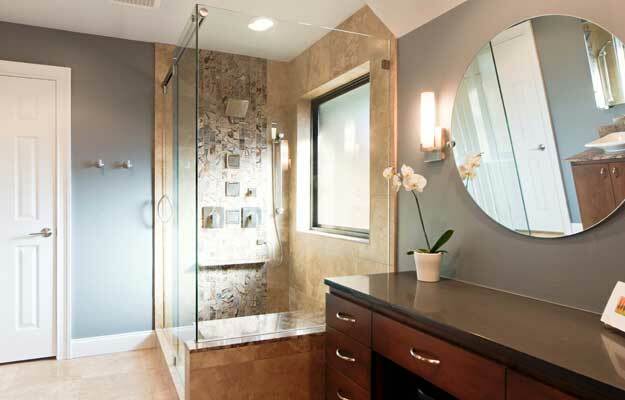 Removing the wall between the tub and the vanity allowed us to open up the space and make room for a larger shower. 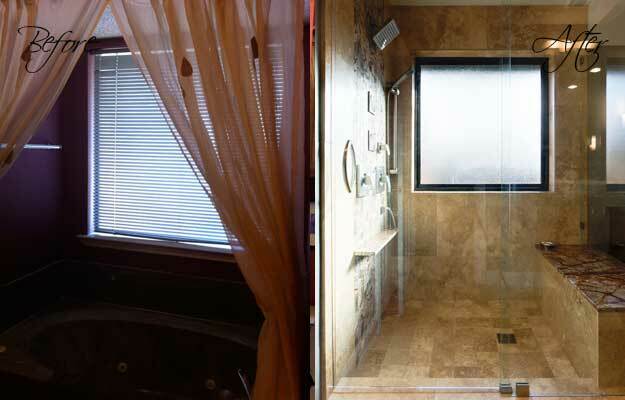 This also helped to optimize the natural light coming in from the window. 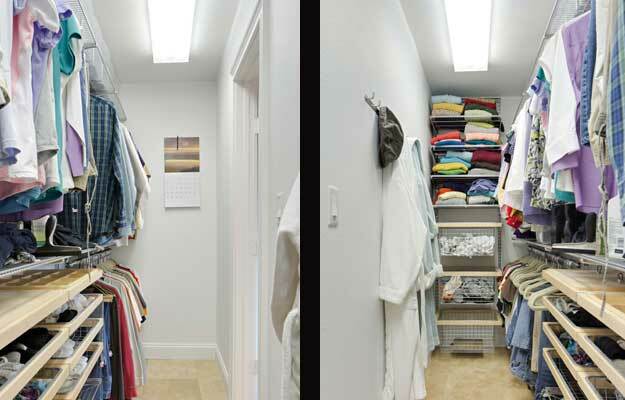 By relocating other walls we were able to turn the two small closets into one large custom walk-in closet. We decided to float the cabinets to make the room feel larger. 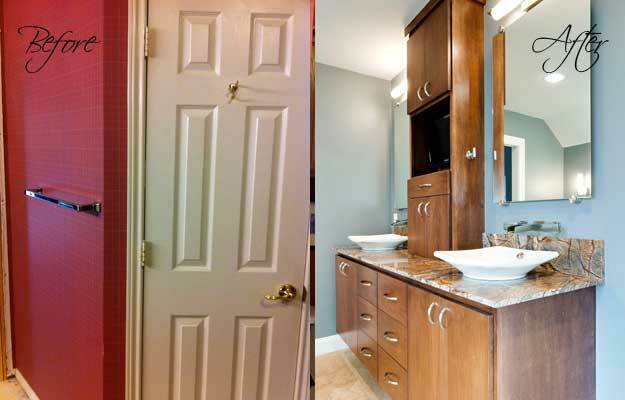 These also give the room an upscale, contemporary look. 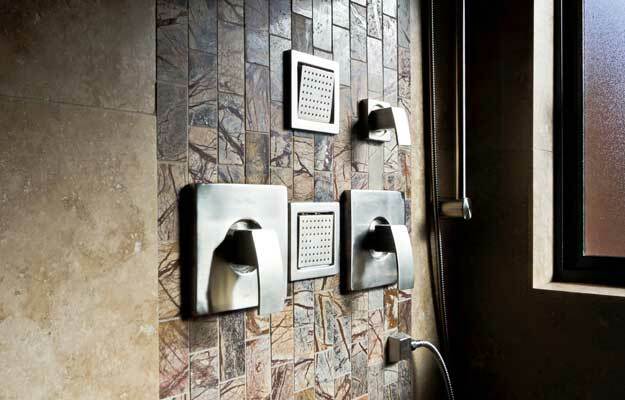 This is further accented by the shelf in the shower. 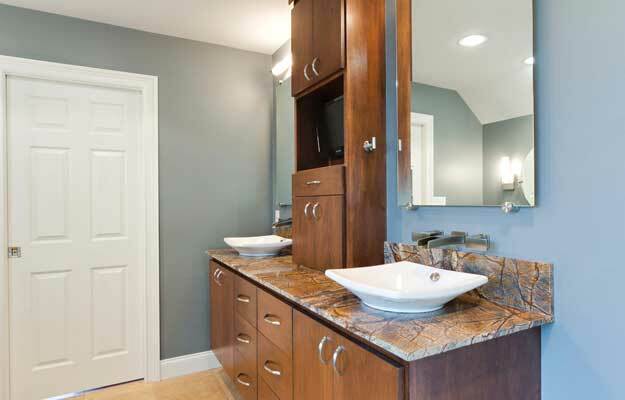 We added even more character to the room with the “Brown Rain Forest” marble countertop on the vanity and the mosaic used in the shower. 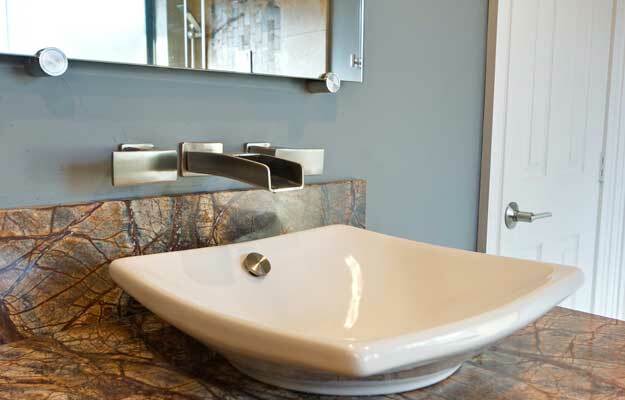 We also installed wall faucets and vessel sinks. 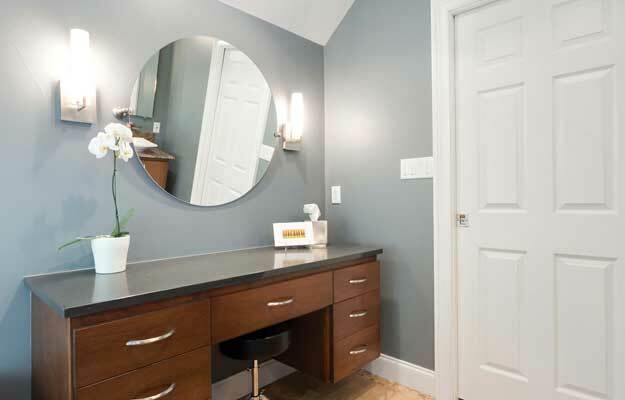 We installed a round, pivoting mirror to make the application of make-up more comfortable whether sitting or standing. 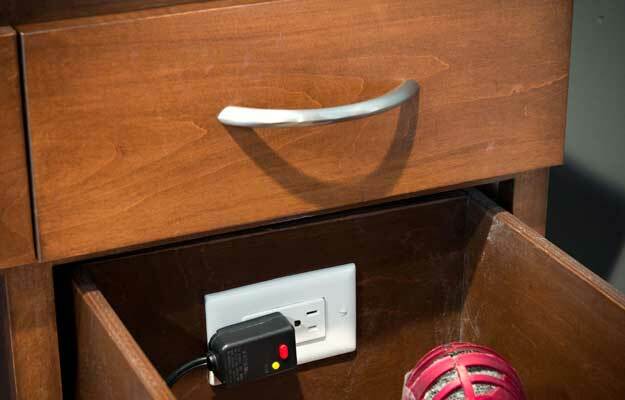 Electrical plugs were installed inside the cabinet drawers and on the countertop for easy access. 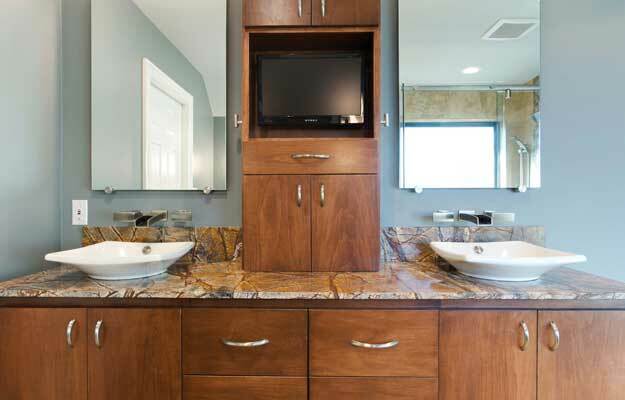 Finally, a small space for a television was created so the clients could stay informed while getting ready in the morning, or to help them relax at the end of the day. 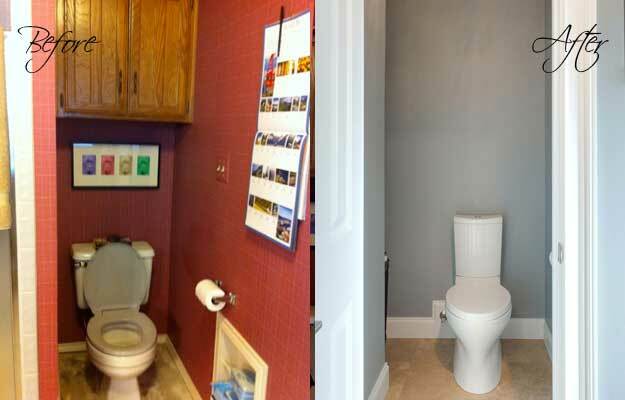 The end result was the dramatic change this client had been looking for.